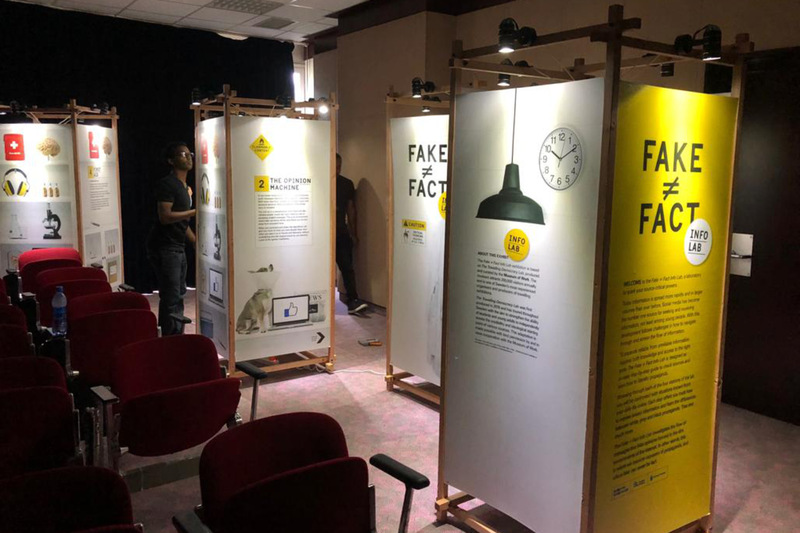 Great interest in Ethiopia when FOJO and the Swedish Embassy showed a preview of the Swedish Institute's Fake ≠ Fact Info Lab in Addis Ababa earlier today. The event took place in connection with the opening of "Promoting Journalism and Democracy in Practices", a regional media reform conference with about 150 participants from a number of African countries. 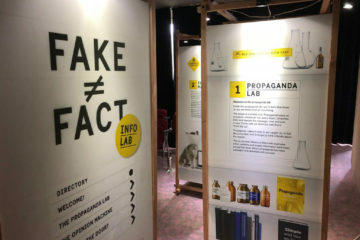 The Fake ≠ Fact Info Lab is a way to physically step into a digital world full of misleading information and strong forces, while at the same offering proper tools for fact-checking and independent assessments of sources. The material, which is intended for school children aged 12-19 yrs., comprises five exhibition modules and has been developed in close collaboration with the Museum of Work. Read more about the project Fake ≠ FACT at Sharing Sweden.